Hey baseball fans.! With Baseball about a month away, I am preparing my draft rankings at each position and have been participating in ESPN Fantasy Baseball mock drafts the past two days. I am part of a complex 20 team league in ESPN and want to do a 20 team mock but they only allow a max of 12. So let’s get on with it. Here are the draft results, commentary will be posted on the bottom. – Lineup filled with balance and power. Tons of .OBP and HR potential. Remember, in most leagues RBI’s mean a lot, but in our 20 team league they are not a factor. 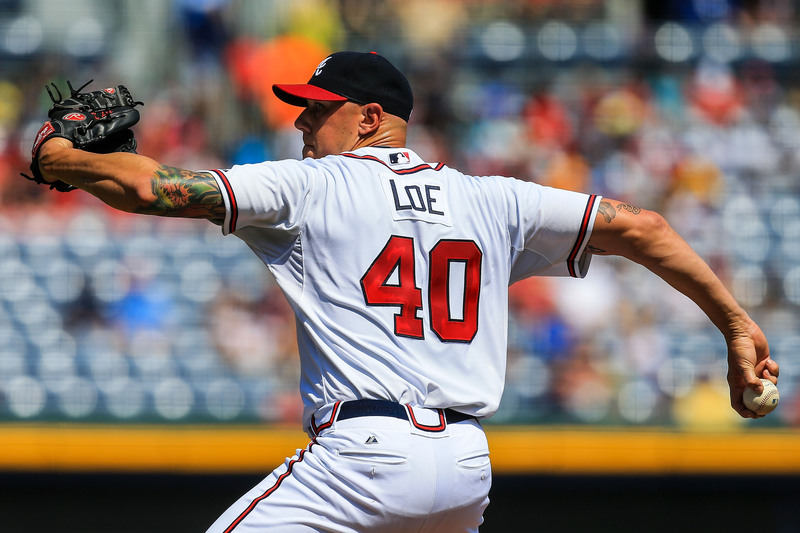 – Starting Rotation filled with innings eaters and HUGE strikeout potential. Every starter can have a 7.5+ k/9 and end the season with over 200 innings pitched. This rotation is as deep as they come. – Bullpen not important in most leagues but this one has a well rounded group of players who put up 0’s when it comes to hits and walks with lots of potential to get Holds. – Worked on OF depth which is very good in this lineup with a lot of .OBP and power from Puig and Trout. – Why no love for Abreu? Got him in the 13-14 round. Has 40 homer potential much like Cuban friend Yoenis Cespedes. Can also get a high walk rate at first base. The position is deep this year. If you get him in 13th round with Goldschmidt power, it’s a steal. People need to take note. – Catcher is the weakest position besides shortstop in the draft. How can I get Buster Posey in the third round both times. In most leagues, he is a top 15 talent. Beware of the Miguel Montero’s, Travis D’Arnaud’s, and Alex Avila’s of the world. They might be okay or they might hurt your team more than help. – First Draft focused on pitching, second I focused on offense. I don’t know which team I would take right now but they are both so even. I see the outfield though as a weak position this season so players need to take note when they are drafting. – First draft I got 2 starting catchers with offensive potential. That’s rare to find and I can’t believe I got Salty with my last pick. He could be good in the National League. Also, with your bench players you need to take risks or players you think can have great season (Cabrera, Jeter, Gennett, Markakis) all capable of big seasons for their team. – Notice both teams have players who have played 150+ games consistently. Drafting successful teams is all about players who play everyday and get at-bats consistently and are not injury prone. You can’t rely on the waiver wire to win you championships. Players like Tulowitzki, Kemp, Ellsbury, Carlos Gonzalez, Strasburg, Morrow, and Josh Johnson are not good choices to draft. Be safe, it will help in the long run. -Finally, balance. Both teams have so much balance. Yes, I have Chris Carter who hits 35 homers and strikes out 200 times but Omar Infante strikes out 50 times a year and has .365 OBP. I also have Hamilton on one team who had a down season and could possibly continue to trend down but with consistency of Coco Crisp (22 homers, .350OBP+) it helps balance the team out. If you have a team of boppers, you won’t win and the same is to be said about singles hitters. – After reading this, go out and give a mock draft a try and see what you come up with. I would love to see the results. New York Mets right-hander Matt Harvey will become the first major league pitcher in nine years to start an All-Star Game in his home ballpark. 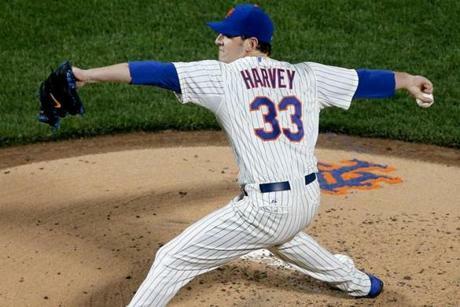 National League manager Bruce Bochy named Harvey as the NL starter for Tuesday night’s game at Citi Field. 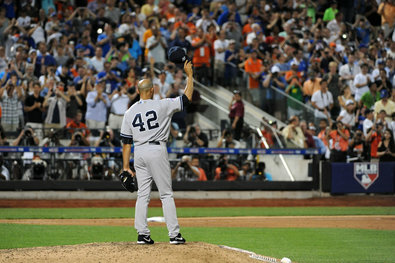 The last pitcher to start an All-Star Game in his home ballpark was Roger Clemens with Houston in 2004. Harvey will join Clemens as well as Esteban Loaiza (Chicago, 2003), Pedro Martinez (Boston, 1999) and Steve Rogers (Montreal, 1982) as the only pitchers to start an All-Star Game at home since expansion in 1961, according to the Elias Sports Bureau. Among NL qualifiers, Harvey ranks first in strikeouts (147), second in WHIP (0.92) and third in ERA (2.35) and opponent batting average (.196). He has taken three no-hit bids into the seventh inning this season. Harvey said he came into the season motivated to step up and fill the void created by reigning Cy Young winner R.A. Dickey‘s departure.